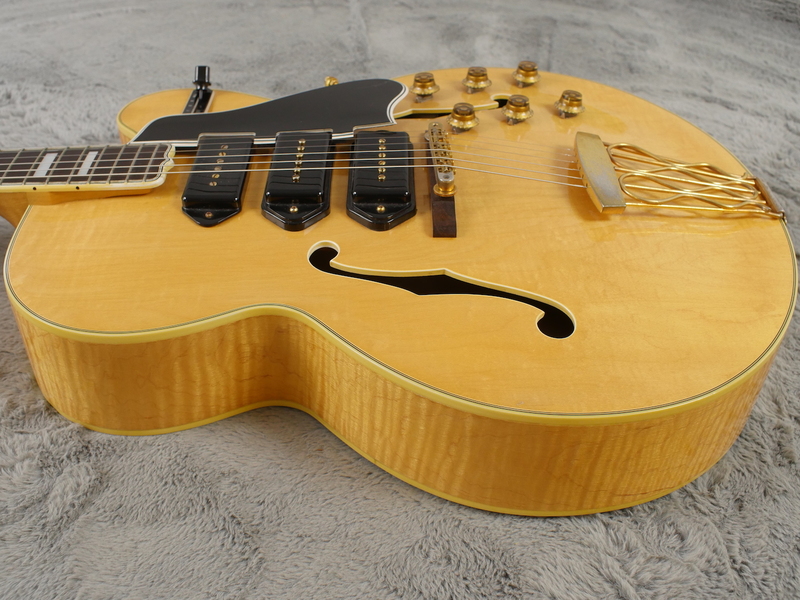 Breathtaking.. there are no other words that can describe what we feel is the finest example around, of the ultimate incarnation of this iconic Gibson electric archtop form Gibson's glory years..
We sold this a couple of years ago to a good customer of ours who cherished it during that time but now feels it has the time to pass it on to a new home and traded it in for something completely different… We had no problem at all doing this and we so excited to get it back. 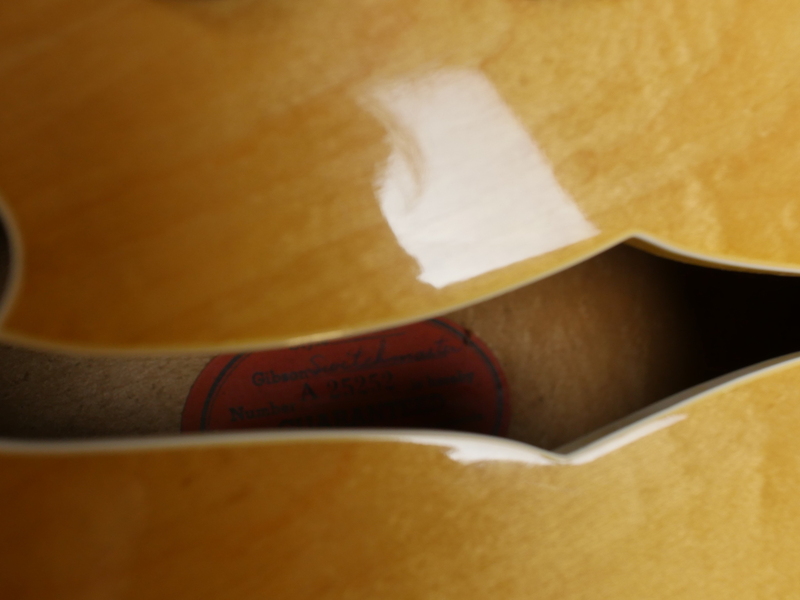 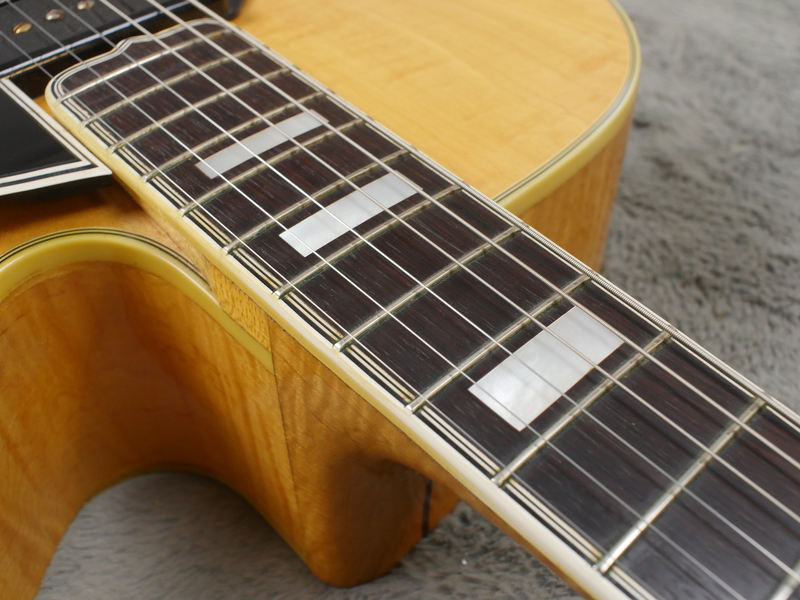 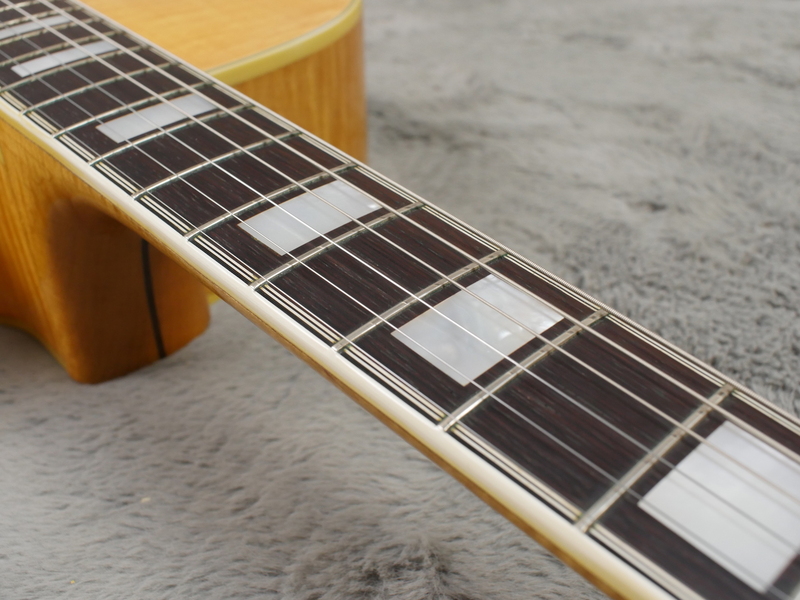 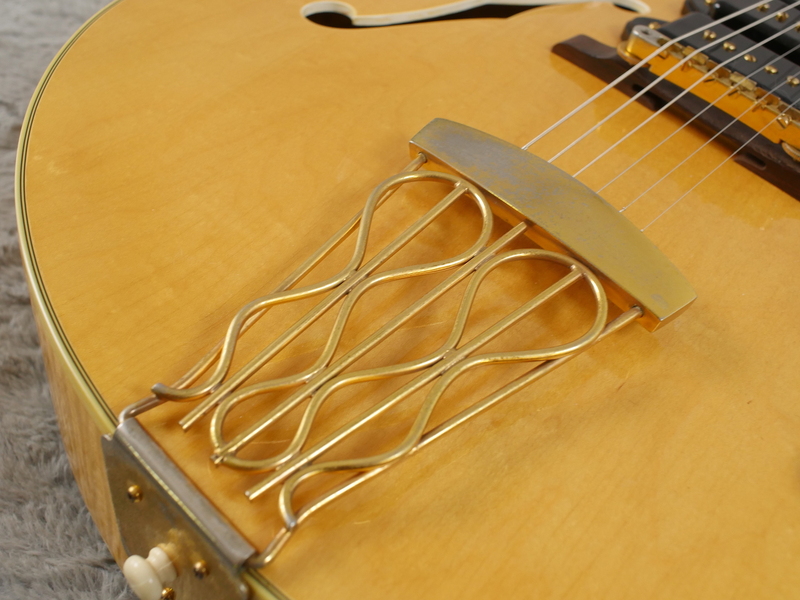 It is at the moment, THE most beautiful and stunning guitar that graces our showroom. 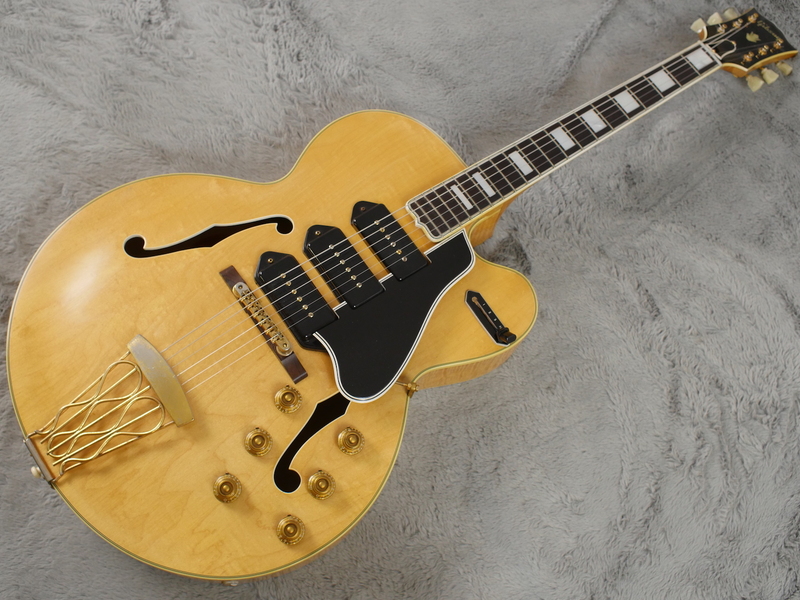 Some, including ourselves, say this is the ultimate incarnation of the iconic ES-5 Gibson guitar. 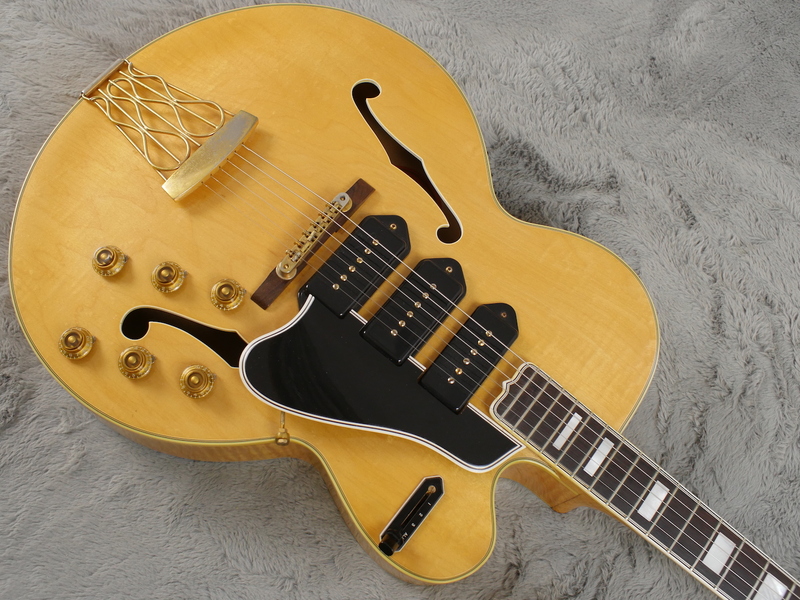 It is a 1957 model made just before the switch to PAF’s and in my opinion is the pinnacle of design for this particular guitar. 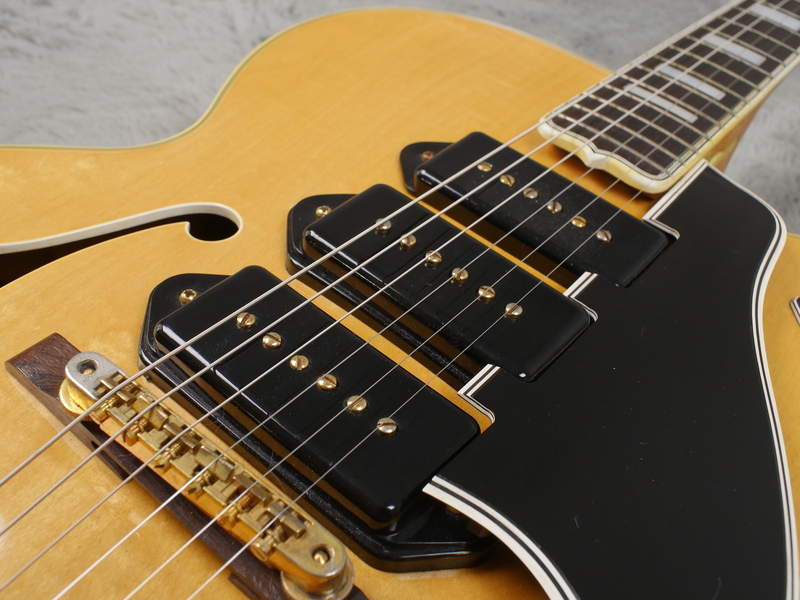 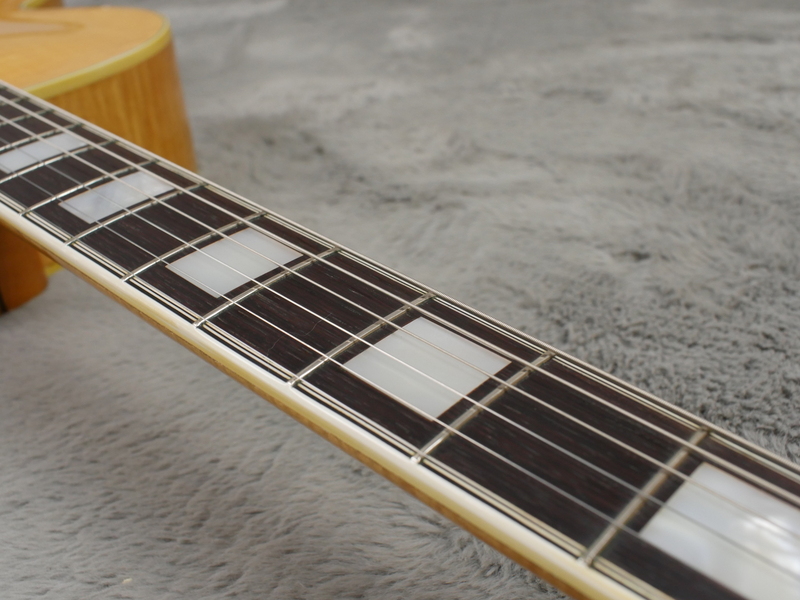 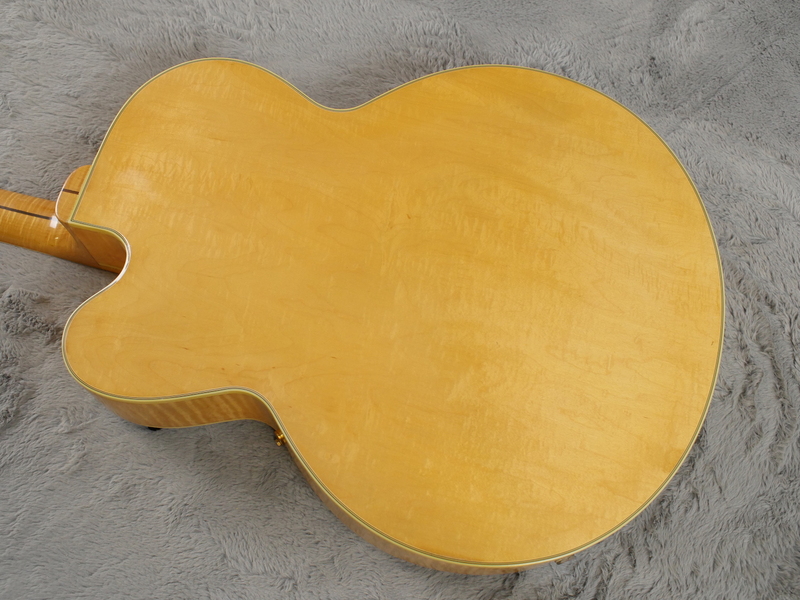 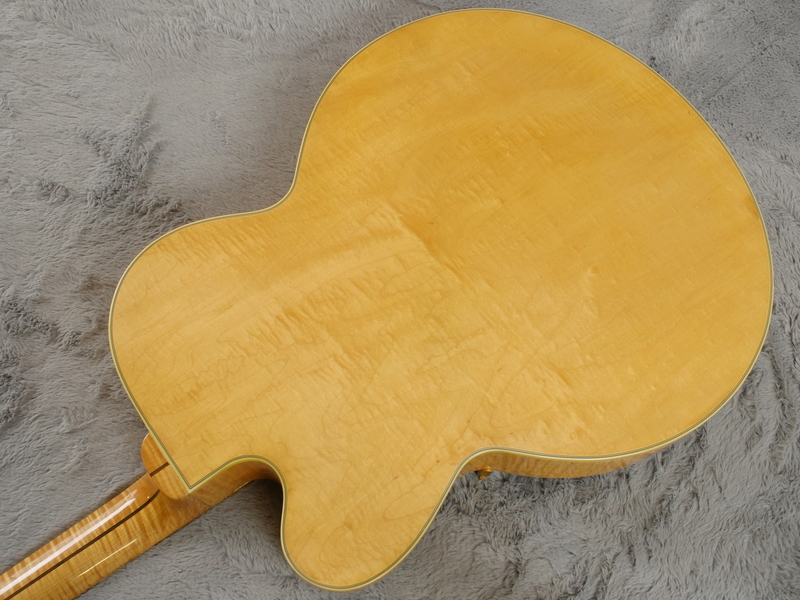 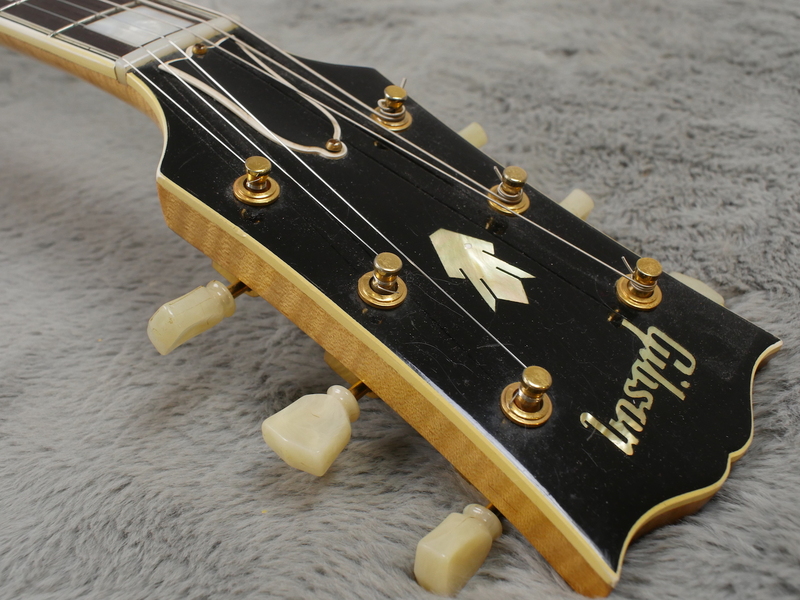 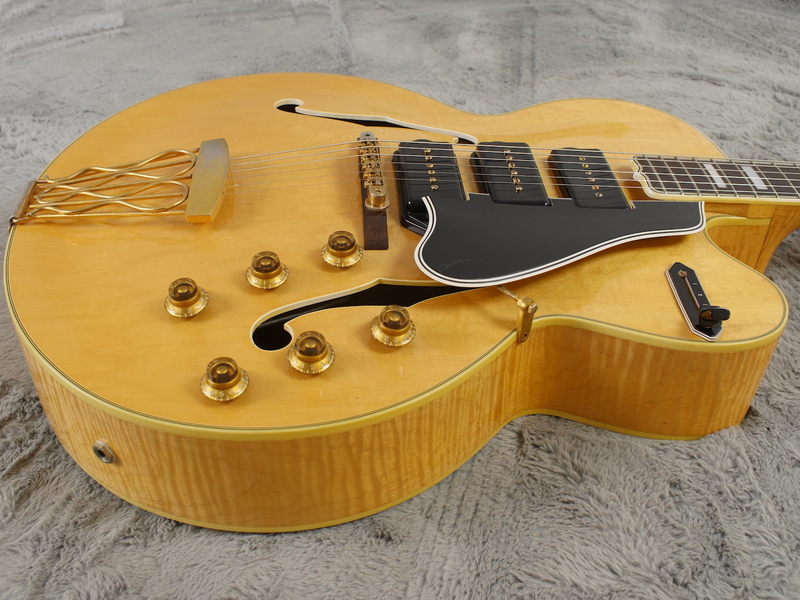 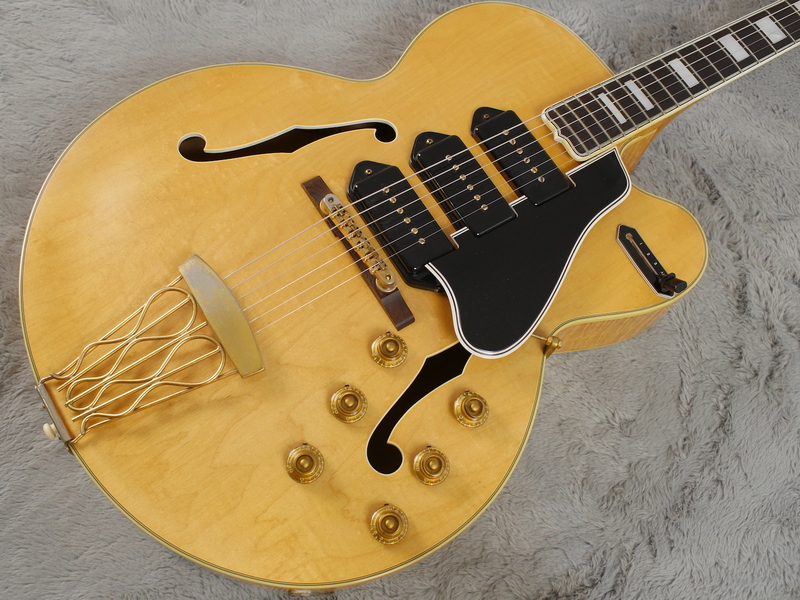 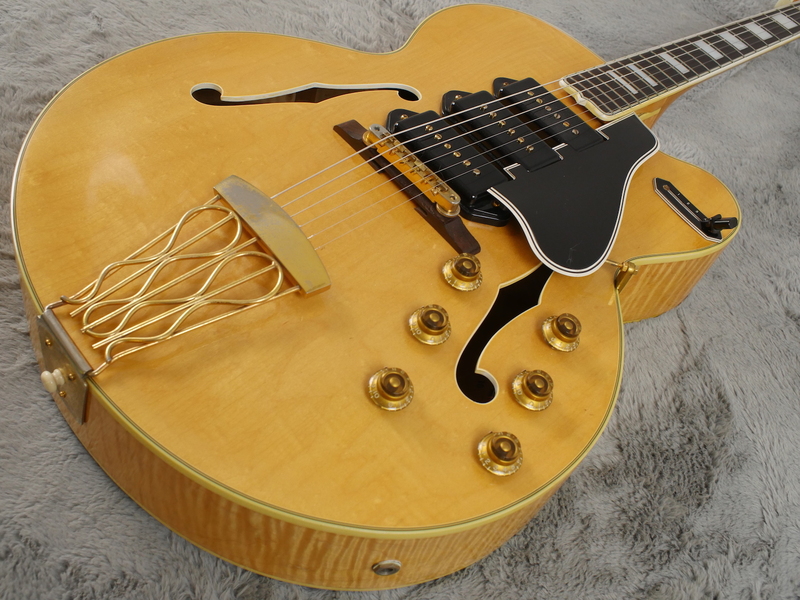 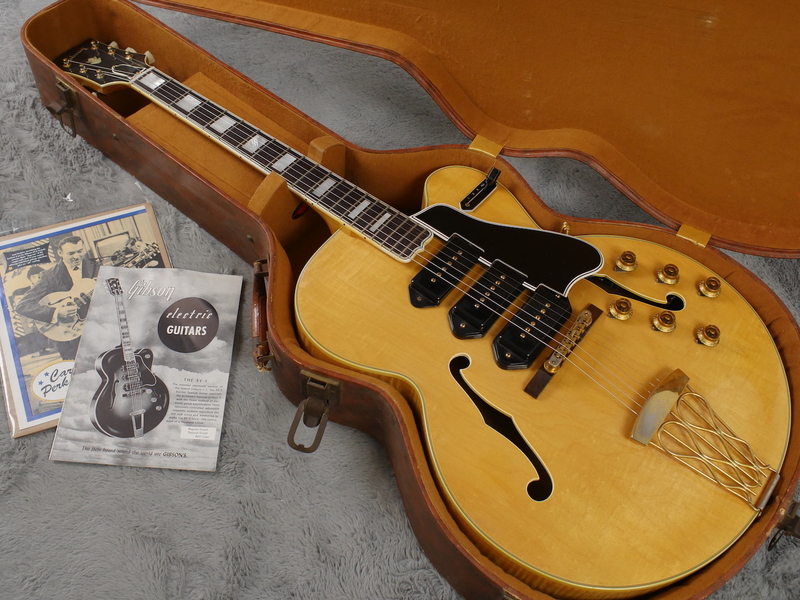 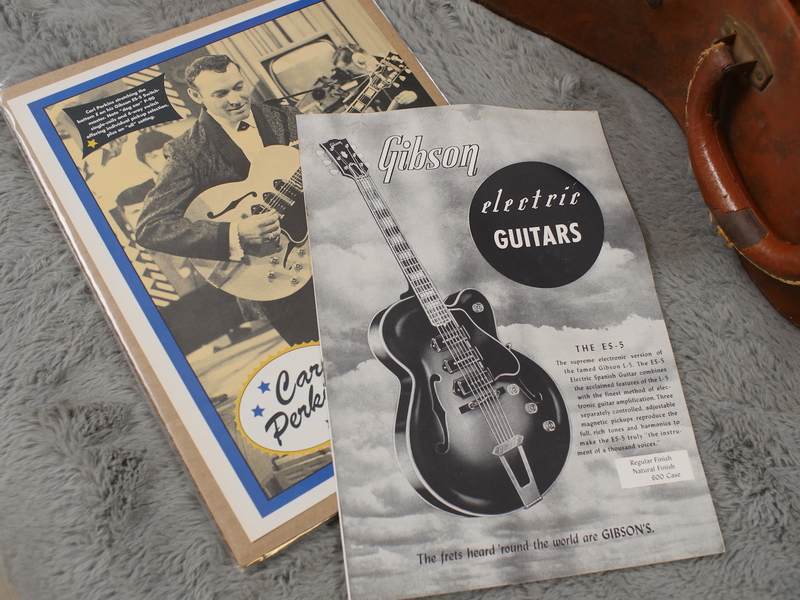 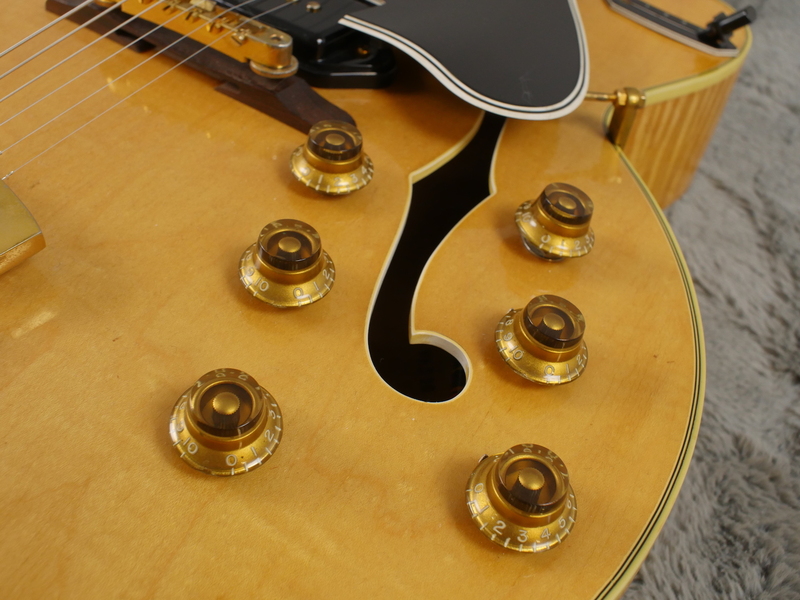 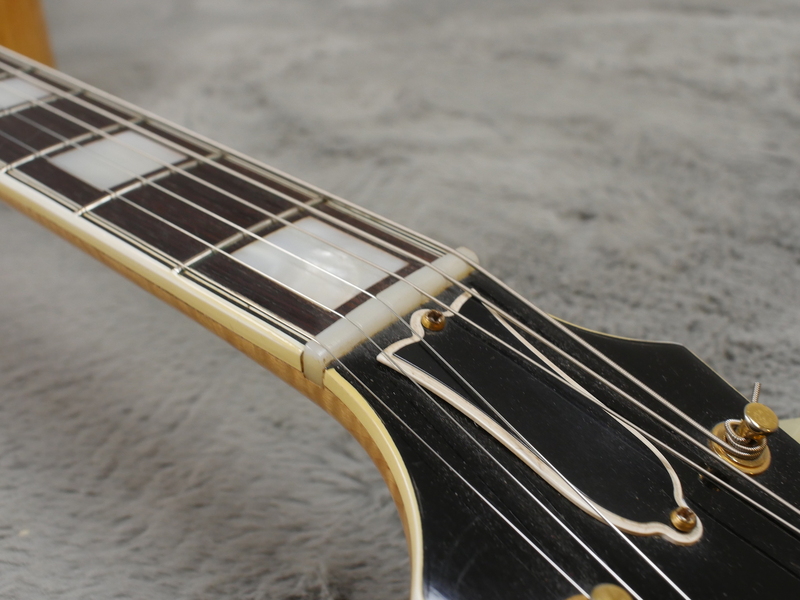 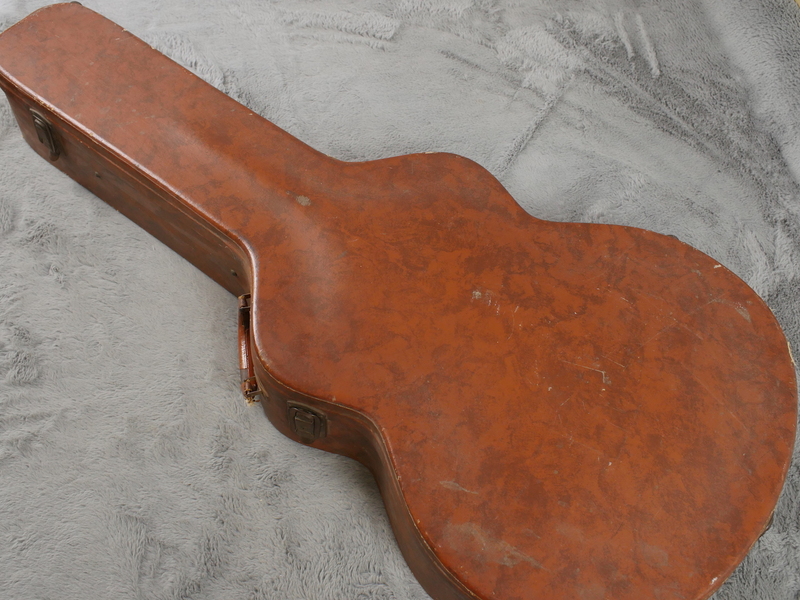 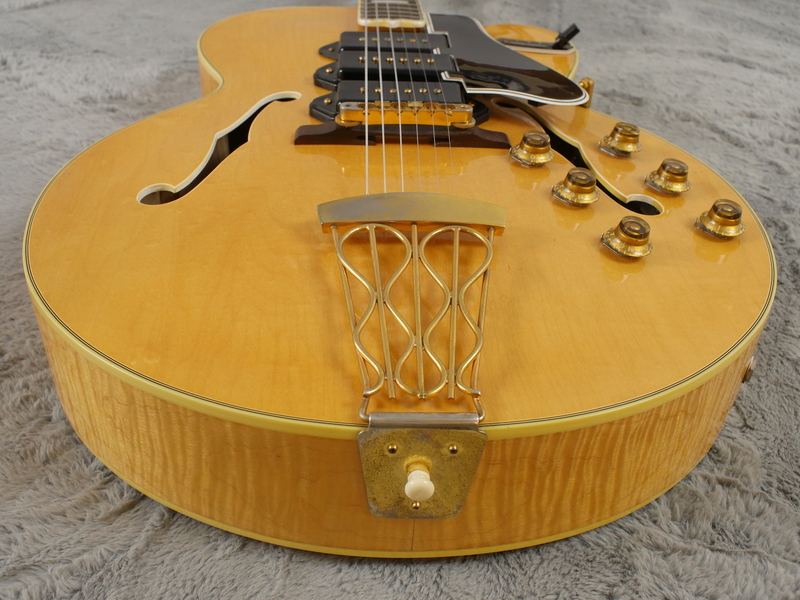 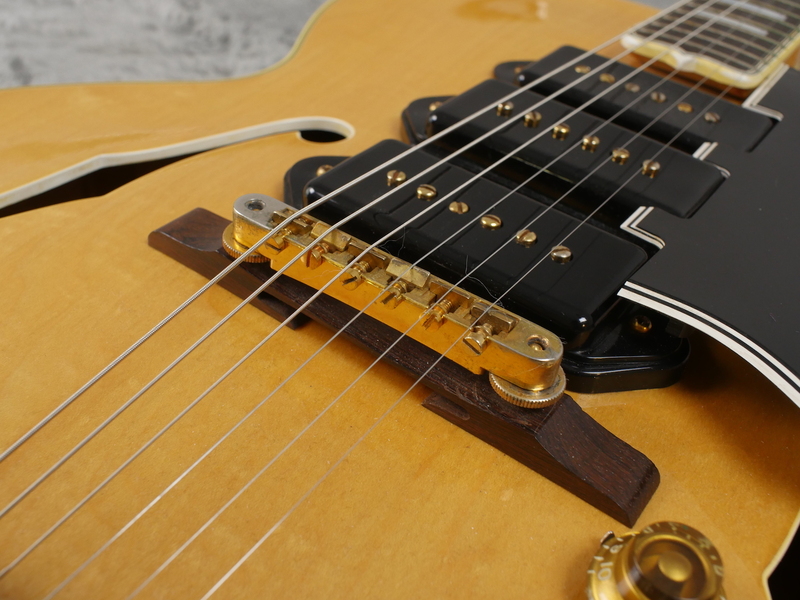 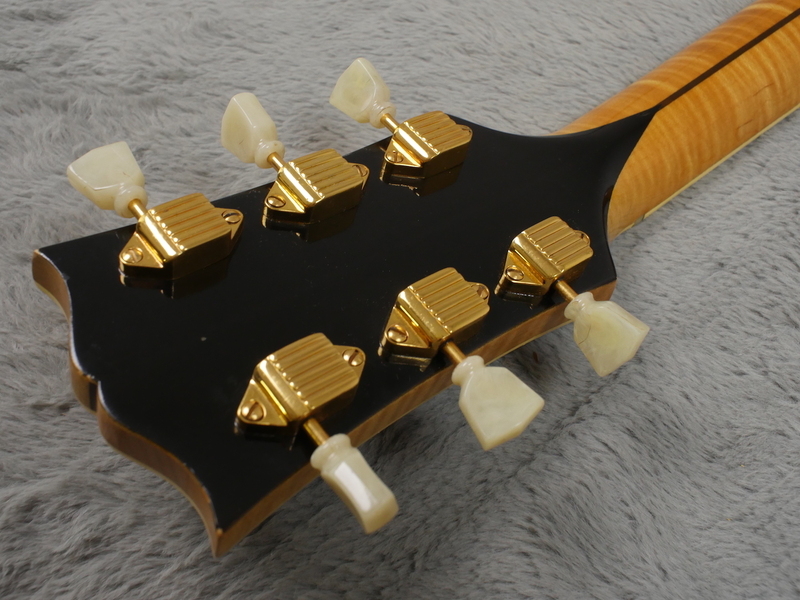 I have had a few of these with PAF’s but I do think the vintage 50’s P-90’s are far better suited for this design and to get one in natural, or blonde, with the incredible figuring this one has, is the creme de la creme, especially in this fine condition. 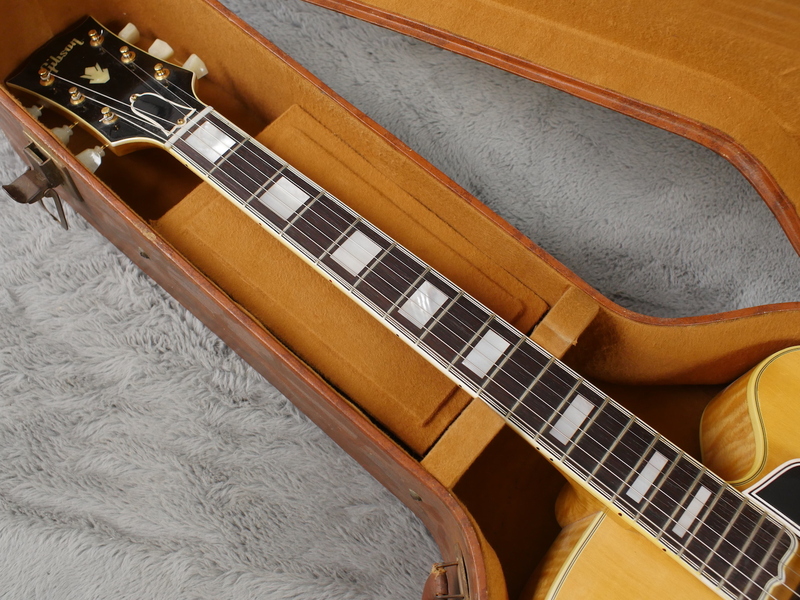 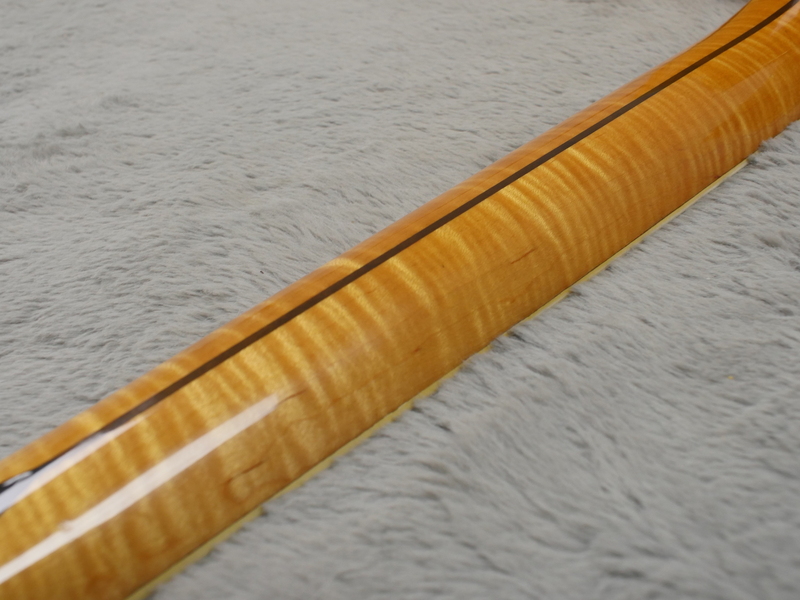 It is a rare blonde or natural finish example which is near MINT condition. 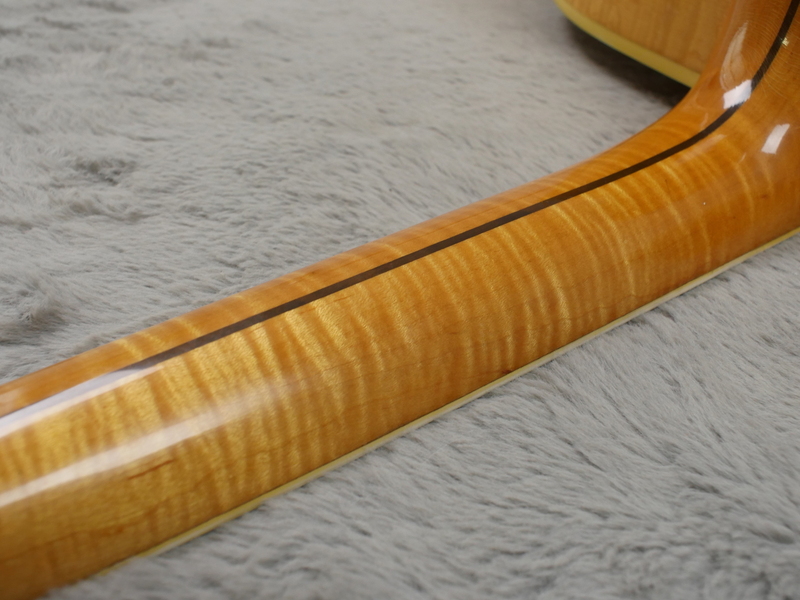 There is hardly a mark I can see anywhere on it at all and it would not look out of place in the smartest of homes. 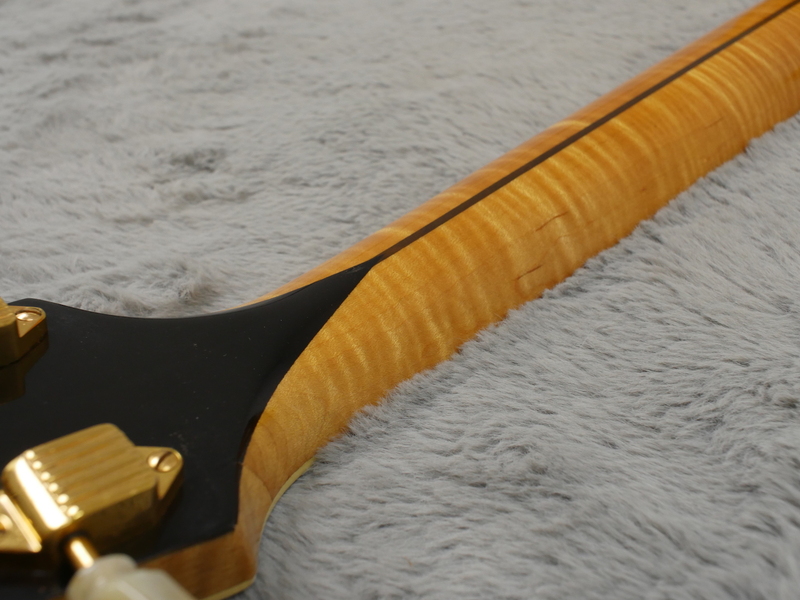 100% original, I cannot see a single thing that has been changed on this beauty and it is set up with what feels like .12 gauge flat wounds and a nice low action that almost plays itself. 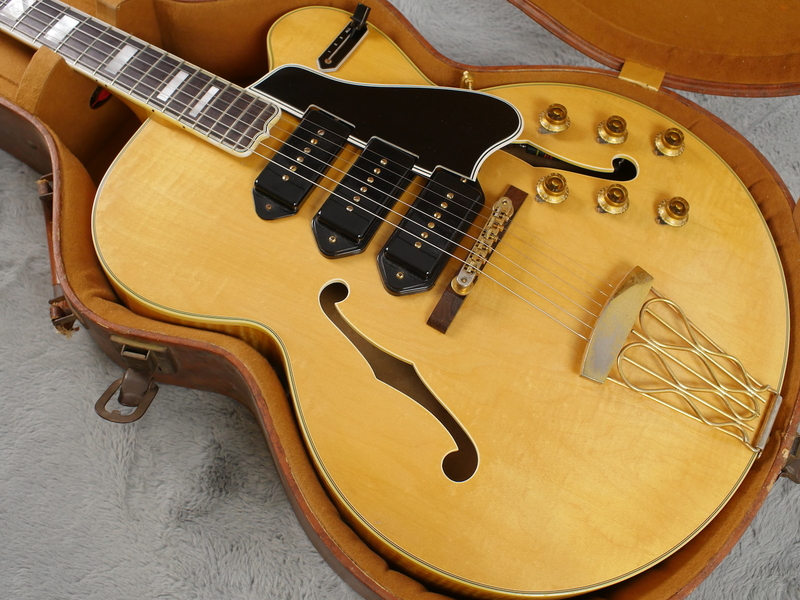 Without a doubt, this is the nicest ES-5 we have had here, ever, period. 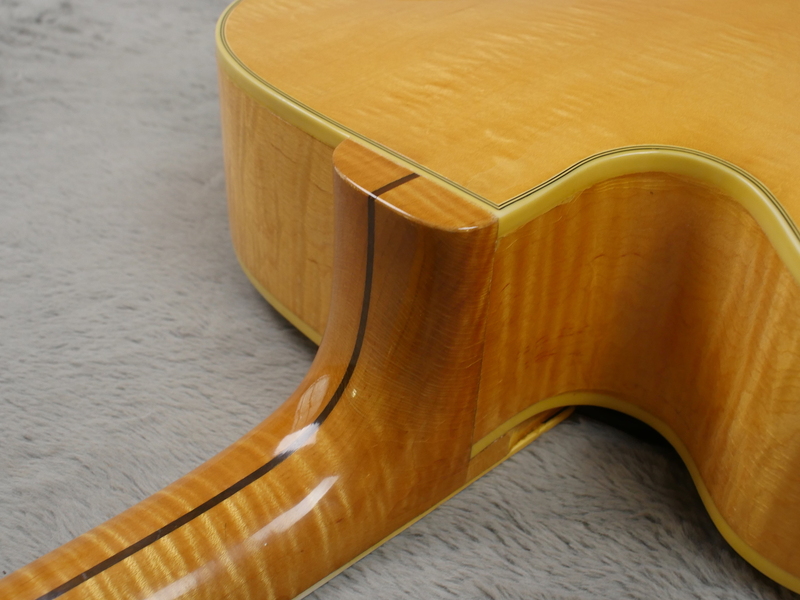 Come and have a look at it but be prepared for you jaw to hit the floor.